Bottled and ready to go! 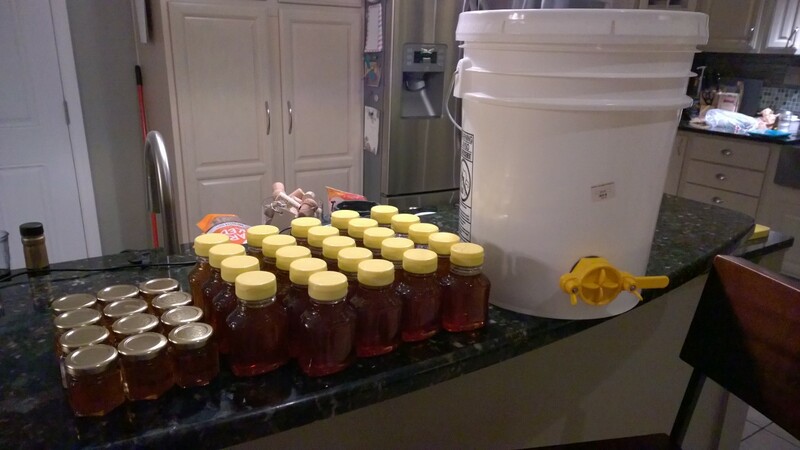 This is less than 1/3rd of our total honey harvest! More will be bottled up when we return. sweet ! 🙂 can’t wait to harvest ours ! let me know when you are back and bottling more! I will send robin with money to buy some from you!!! Wow. So cool. Now to scour the Internet for recipes !